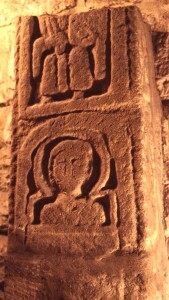 North Cross shaft, south face, top. The panel at the top has the bottom half of a figure. The panel below that has a figure's head and shoulders.